When the CIA was founded 70 years ago, it immediately began shaping the world in a way that served US business interests. In those days, the agency was led by Allen Dulles, its most powerful director. But who was this man? David Talbot, author of “The Devil’s Chessboard,” has the answers. How did the state of democracy in America become so precarious? Read on. 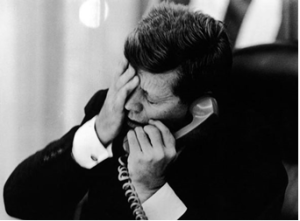 In this excerpt from the new book The Devil’s Chessboard, by David Talbot, we learn that what we have been told about the assassination of John F. Kennedy is not even close to the truth. And we see the highly irregular activities of Allen Dulles, the most powerful CIA director in history, after he has been removed from his post by Kennedy, and in the hours and days after the president was shot.